The four players each spent half an hour minutes within the live exhibit posing as footballers with visible and invisible health problems, in full view of passengers within the station. Paul Farmer, CEO of Mind, said: “We all have mental health just as we have physical health and both are equally important to look after. Whether you’re a star striker or season ticket-holder you shouldn’t have to live in fear about opening up and getting support for either your physical or mental health. 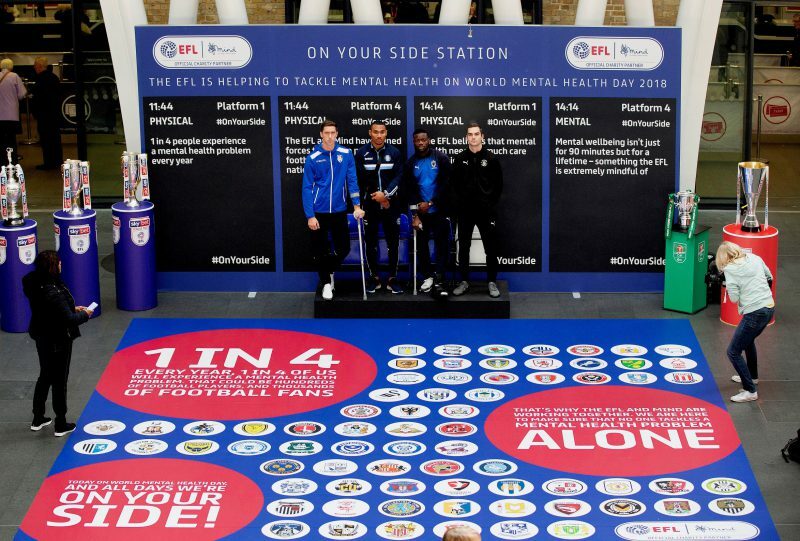 We’re delighted to have joined with the EFL to create the On Your Side charity Partnership to make sure that no one has to tackle a mental health problem alone. Today, on World Mental Health Day, and all days, Mind and the EFL are On Your Side.